At GMV Syncromatics, we live by the motto: “You can’t manage what you can’t measure,” and that’s where it all begins with our product. We cut our teeth on vehicle tracking over ten years ago, and it is still the core of our business, and the source of the valuable data we give you to better manage your operation. GMV Syncromatics offers the most flexible, intuitive platform for all types of agencies. The ruggedized Android MDT includes a removable dock which connects to all of the vehicle's peripheral hardware. The redesigned user interface enables drivers to track their on-time performance, and allows dispatchers to make intelligent decisions and respond quickly to changes. Contact our team to learn more about this option. 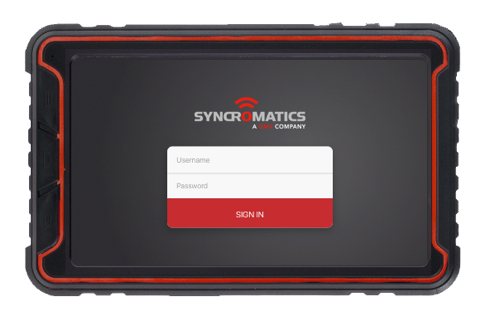 The GMV Syncromatics MDT-600 is a rugged, durable, data processing, storage, and transmission unit in a tidy touchscreen driver interface. It’s a single modular and swappable package that natively supports connections with the engine control module, passenger counters, audio systems, fareboxes, destination signs and so much more. It captures data from all of these sources and sends that data to our server every 3-6 seconds. The driver interface allows sign in and sign out, trip switching, headway spacing indicators for on-time performance assist, emergency alerting, dispatch messaging, manual fare counting, pre-trip inspection and maintenance indications and troubleshooting. When combined with our standard Live Dispatch software module, you’ll have everything you need to manage live operations. The Live Dispatch module allows users to view vehicles and routes in a live Google map application, complete with traffic indicators. It presents live on-time schedule performance data for active vehicles, and allows the dispatcher to quickly pinpoint those vehicles running off schedule or off route altogether. From this easy-to-use interface, the dispatcher can send messages to any or all vehicles, assign a vehicle to a new route, and submit reports to supervisors.